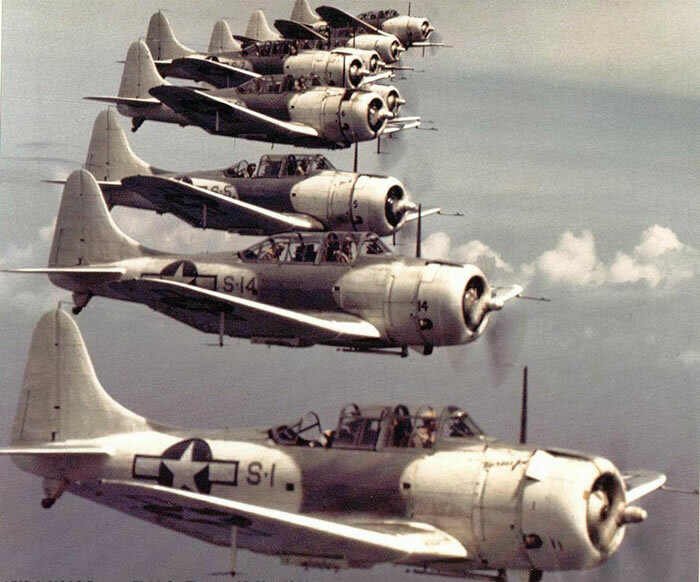 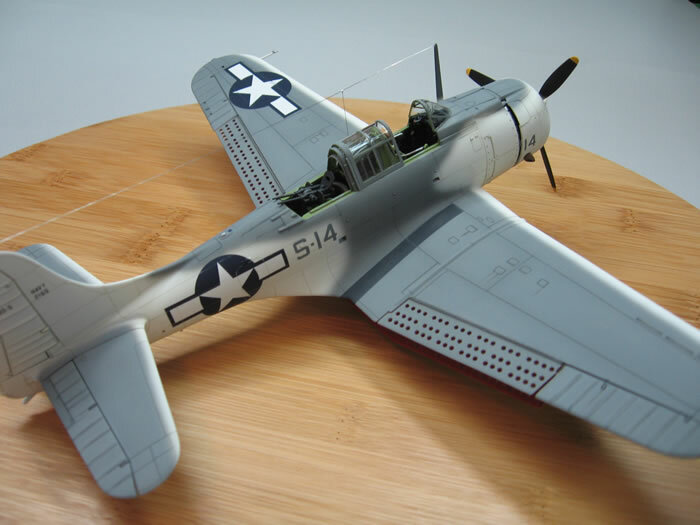 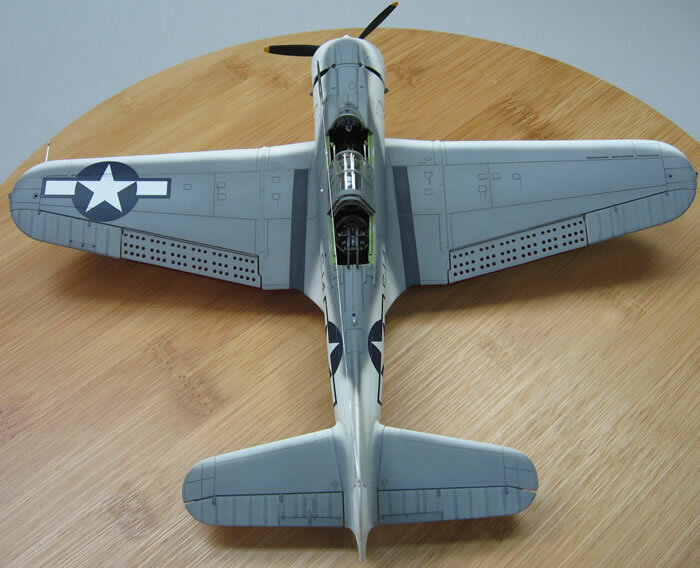 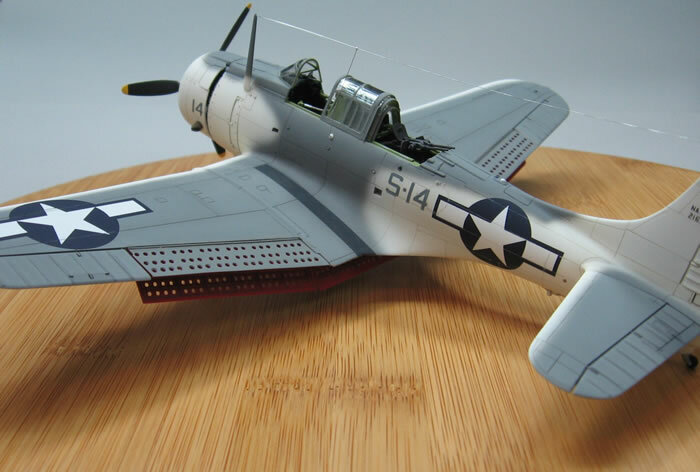 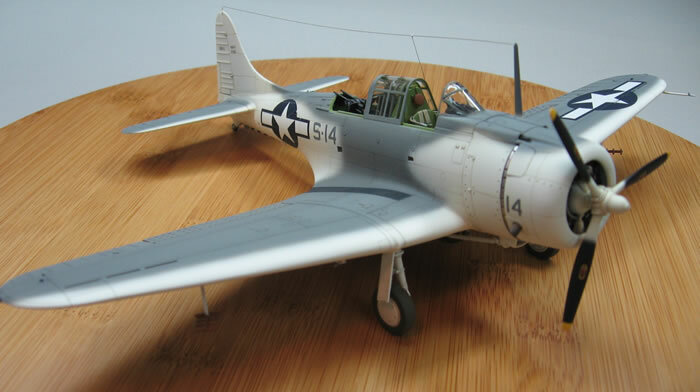 Italeri's 1/48 scale SBD-5 is available online from Squadron for only $26.99! 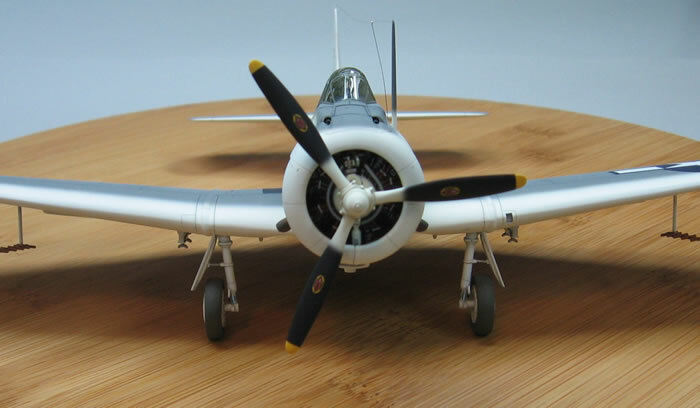 Here are some photos of my 1/48 Accurate Miniatures SBD-5 in the Atlantic sea search scheme of flat dark gull gray upper surfaces, flat white sides and leading edges and glossy white under surfaces. 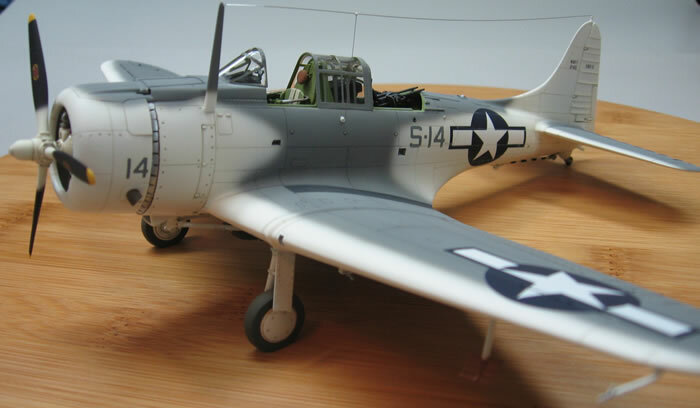 The model was built under IPMS Out Of The Box rules; gaps filled, tape seat belts and antenna wire added. 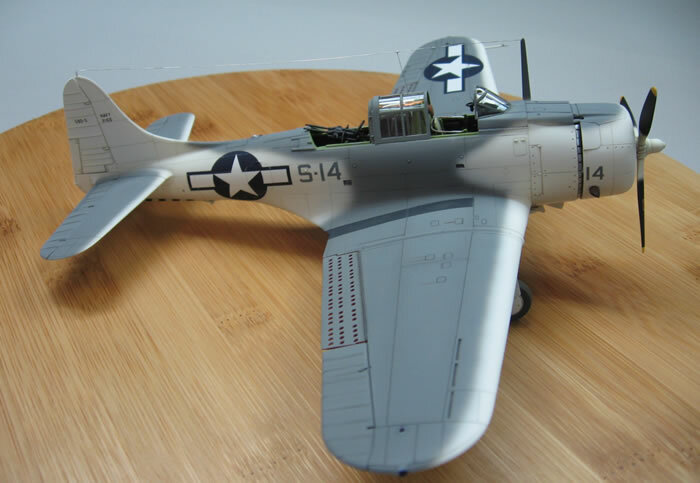 The belly lights are Bare Metal Foil discs painted with Tamiya translucent colors. 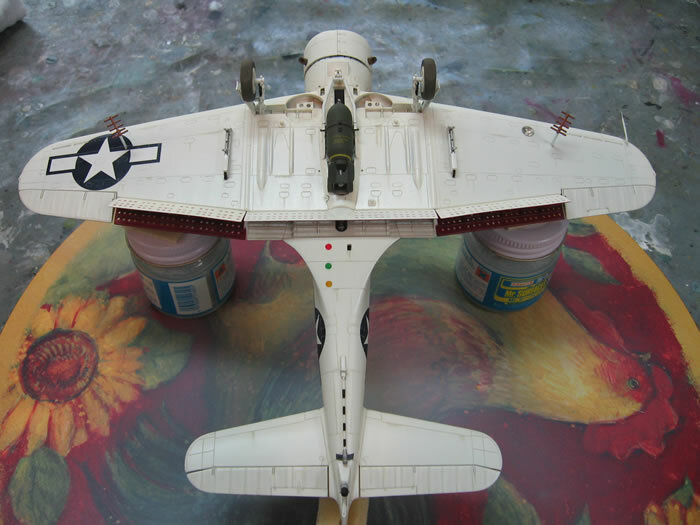 The model was finished in Testor's enamels.